This is my second collaboration with Heirloom Finds and this time I'm styling their teardrop tassel necklace. I wanted to go for the total opposite of a statement necklace and style a more casual piece. Tassels are a really big trend currently. I fell in love with this piece and I especially love the crystal pendant in the middle. This time I was going for a more casual boho type of look to pair this necklace with. 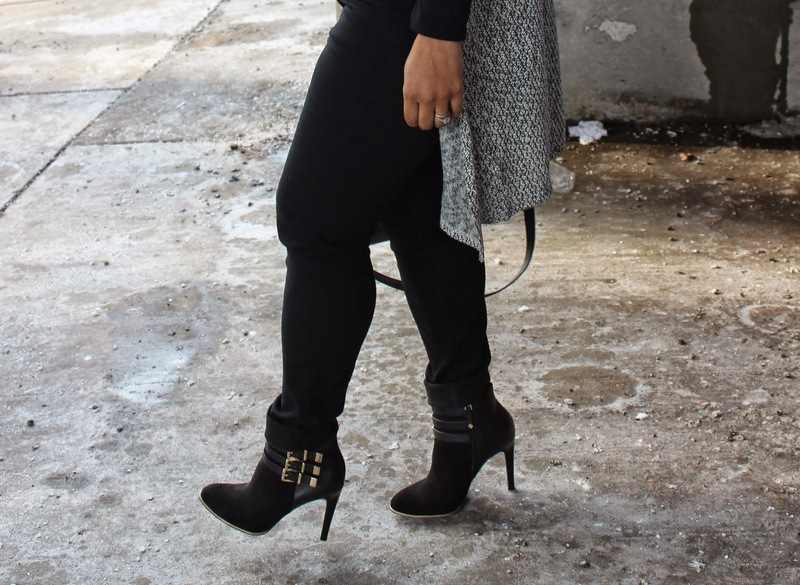 I wore all black and threw on a gray oversized cardigan over it. I love cardis like this because they give you such an effortless look without really doing too much. The long pendant tassel was the perfect touch to the look I was going for. Don't forget to enter the giveaway (here) from Monday's post for a chance to win a $25 credit with Heirloom Finds and you can score a cute piece like this tassel.